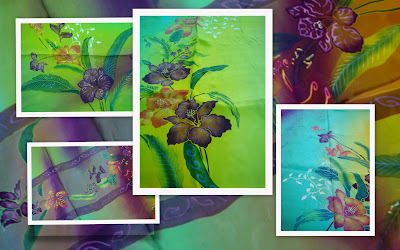 I found out many websites using Batik as main topic. > This website actually on batik sarongs (do not confuse with “batik canting”). 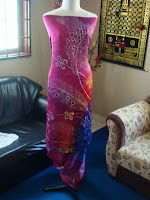 Batik Sarong is a heritage garment which used generation by generation of women malays in the old days. Today, we can still found the norm in village and suburb area as a convenient garment to be used at home. Somehow, we can also see there is innovation to use it as attire such as “Baju Kurung”, “Baju Kebaya” (or relevants) for festival or ceremony. The trend is actually brought from Indonesia. This policy is valid from 08 September 2009. This blog is a collaborative blog written by a group of individuals. For questions about this blog, please contact whizurl@hotmail.com. We grant commission for those who register as Aufa Batik dealer. No matter if you are in Sarawak, Brunei, Johor or other countries, we always welcome new business into the line. This September we left only a few of promotion pieces. From the original price of MYR 180, we cut down the price to only MYR 160! Buy at MYR 160 only! We trust our design can captivates women's hearts. Below pictures are only some of the designs! We tailored batik for men as well. Wear this garment at your favorite gathering, ceremony, dinner, festival, ocassion or even on Thursday! At Aufa Batik, we start the day with morning briefing. Our designers will greet all staffs and adviced on the latest design approved by the owner.